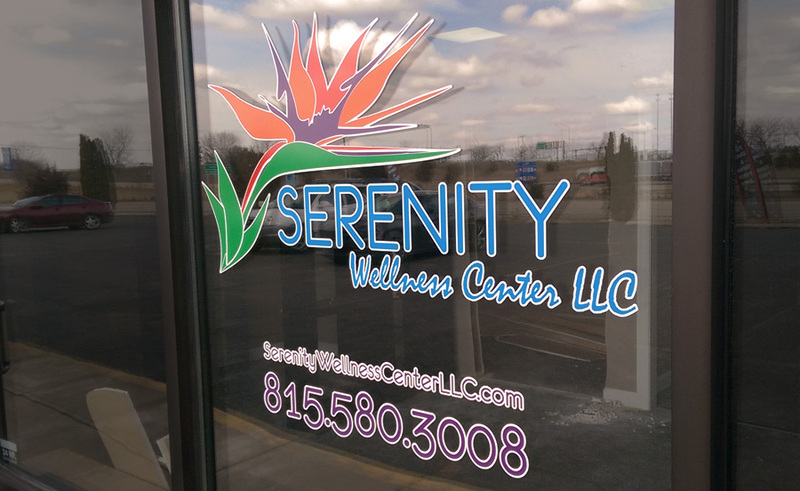 The window signage on the Serenity Wellness storefront is a prime example of how far you can take vinyl graphics. This 5-foot wide piece includes all the colors used to create their custom logo. Each layer (or color) of vinyl was cut separately, then carefully applied piece by piece on the actual window itself. No light table was used. 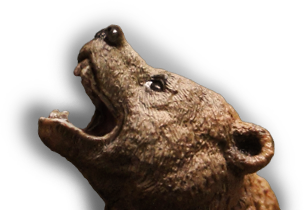 The final result is a crystal clear window sign that can be seen from the interstate – a true attention grabber. 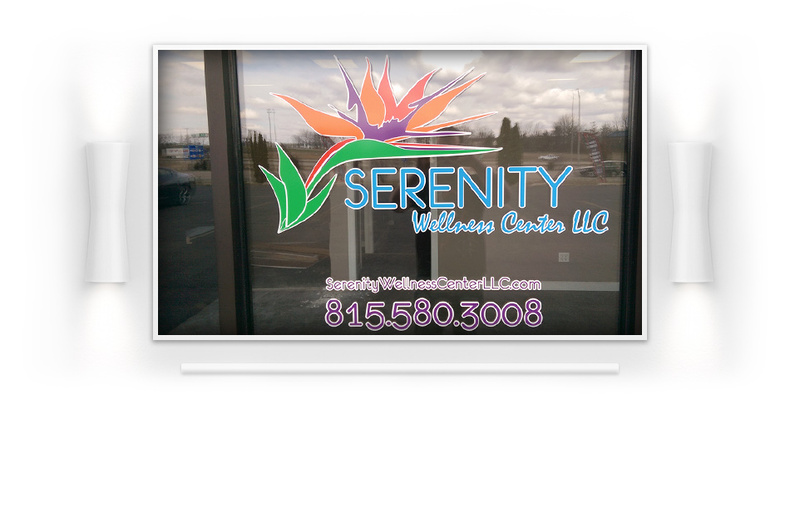 The owner of Serenity Wellness came to visit us one day to ask about some custom website development and a new window sign for her business. Interestingly, she had learned about us after reading the vinyl lettering on our storefront windows while visiting the shop next door. 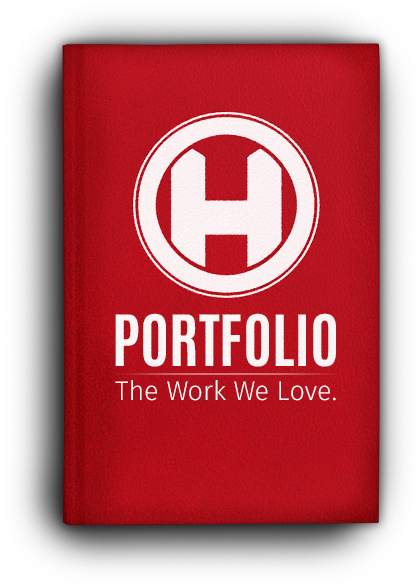 If our windows weren’t lettered, we wouldn’t have had an opportunity to quote her project. If that’s not a testament to the power of professional vinyl graphics then I don’t know what is! 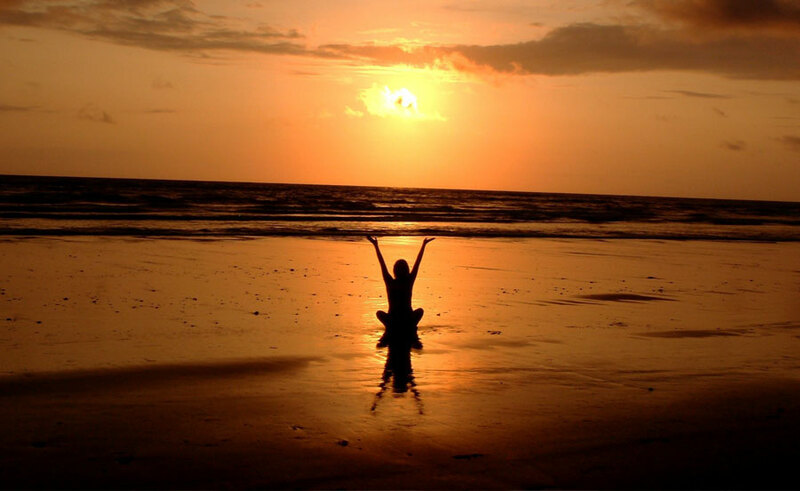 One thing that we need to stress is this: vinyl graphics are very flexible from a design standpoint. Professionals are able to incorporate multiple layers of color into a sign, and then apply them on a substrate with outstanding results. In this case you can see we used a total of 6 individual colors: orange, green, purple, red, blue and white. The final piece is a 6-layer vinyl window sign that looks like it was printed directly onto the window. 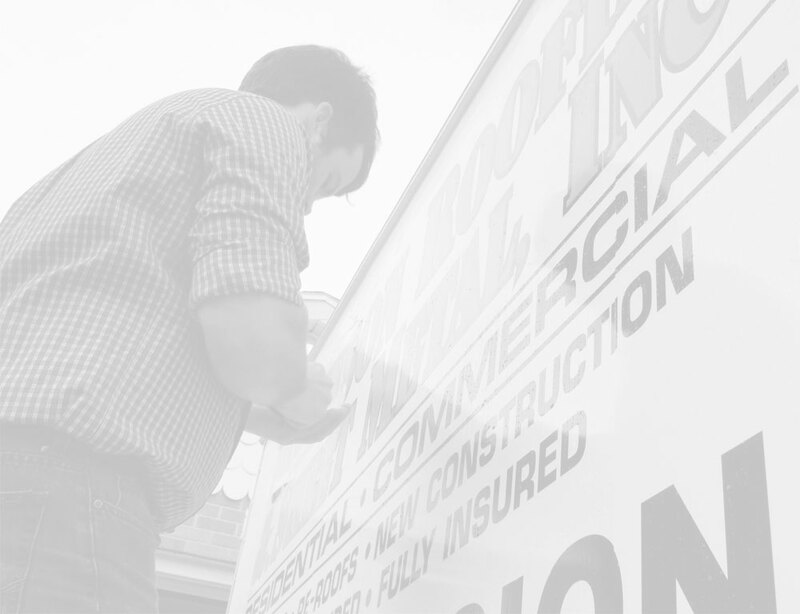 Professional vinyl graphics can go beyond simple lettering and allow you to professionally advertise your business without limiting your creativity!